Mortgage interest may not provide the tax savings you hope for. For most homeowners, mortgage interest is their biggest tax deduction and getting a home loan allows a home buyer to make the shift from the standard tax deduction to itemized deductions. You do not get all of your mortgage interest back on your tax return. The amount of tax savings you realize depends on several factors. A tax deduction such as mortgage interest reduces your taxable income, not your tax bill directly. The tax reduction from a deduction is the amount of the deduction times your marginal tax bracket. For example, if you claim $10,000 in mortgage interest and you are in a 30 percent tax bracket, the interest deduction would reduce your tax bill by $3,000. The fact that mortgage interest can be deducted on your tax return lowers the net interest cost by the amount of the taxes saved. Taxpayers who do not claim itemized deductions use the standard deduction to reduce taxable income. Paying mortgage interest does not provide any additional tax savings unless the amount of interest paid during the year is higher than the standard deduction. As of September 2012, the standard deduction is $5,950 for filing single, $8,700 for head of household and $11,900 for married-filing-jointly. If you file a joint tax return, you must pay more than $11,900 in mortgage interest before the interest provides any additional tax savings. For a new homeowner, the mortgage interest deduction is often the first time that person has enough deductions to itemize rather than use the standard deduction. Once you decide to itemize, other deductions can also be used to reduce taxable income. Additional deductions such as property taxes, non-cash charitable donations and medical expenses can be deducted along with the mortgage interest deduction. The additional deductions result in additional tax savings along with the tax savings from writing off the mortgage interest. 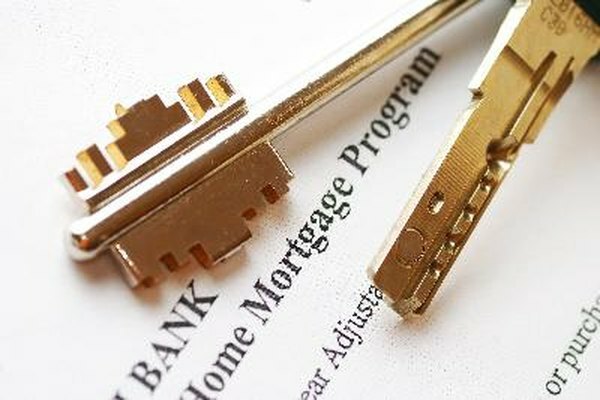 With the increase in the standard deduction -- filing married -- from about $7,500 to almost $12,000 over the last 10 years, it takes a much larger mortgage to generate enough interest payment to help with your taxes. A $200,000 mortgage at a 4.5 percent rate means you would pay less than $9,000 in interest. Buying a home may not provide a large amount of tax savings due to the interest write-off. For many home buyers, there will be little or no tax savings. Can I Deduct My Mortgage Interest Even if I Didn't Work During That Year? How Much of a Tax Deduction Do You Get Back on Home Loan Interest? How do I Calculate Tax Savings on Mortgage Interest?